Covering an area of 2,000 hectares, La Côte is Switzerland’s largest wine growing region offering a marked path of more than 50 km in length. 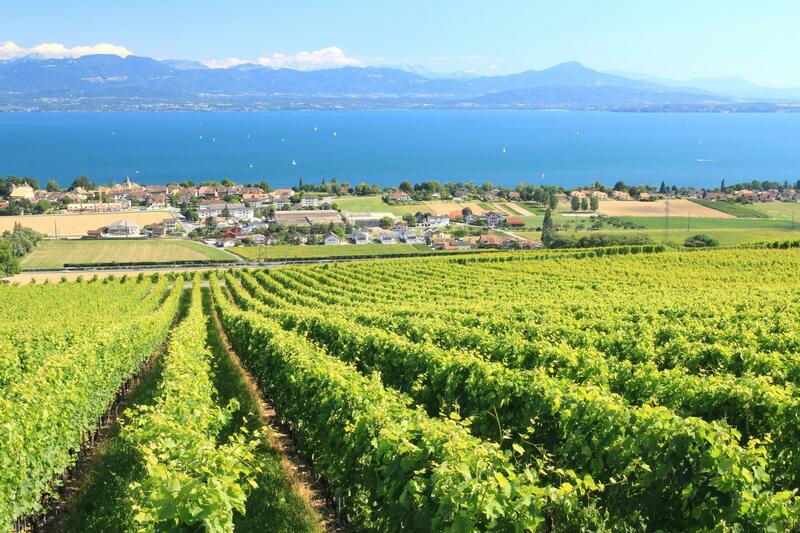 The unrestricted view of Lake Geneva, the Alps and Mont Blanc makes this famous vineyard trail unique. All along the way, winegrowers, farmers but also craftspeople and artists open their door to you, so you can catch a glimpse of the hertitage of this vineyard. The Musée du Vigneron in Mont-sur-Rolle provides information to those who would like to learn more about the history of viticultural work. Thousands of objects are divided into five thematic areas, ranging from viticultural work to yesteryear’s glasses and wine presses. 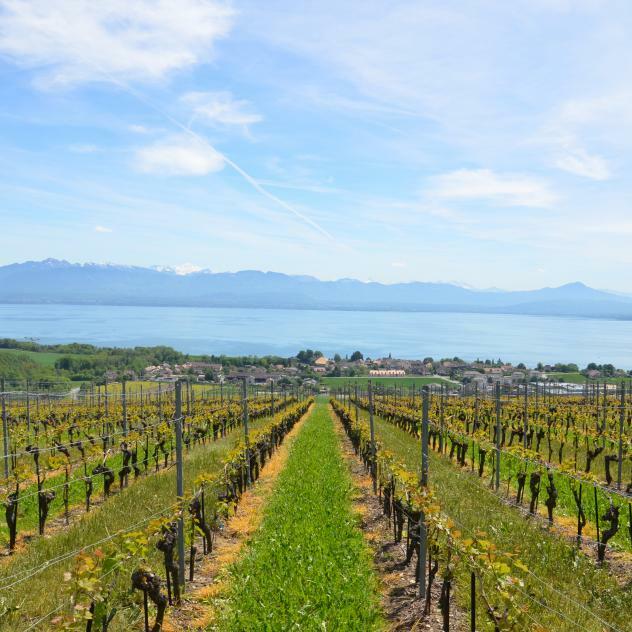 Between Lausanne and Genève, the 45 km long La Côte AOC vineyard is the biggest wine-making area of the Lake Geneva Region. From the shores of the lake to the foot of the Jura, from gravely earth to heavier soils, many different grape varieties grow here in ideal conditions for producing grands crus.